You’ve just completed an essay assignment, and while you know the content is excellent, you remember how the points on your previous papers took deep dives from the 90s to the 70s or lower because of run-on sentences and fragments. How can you find them this time and make your ideas shine? Print two copies of your essay. Give one to a friend to read aloud to you while you follow on your copy. Whenever your friend stumbles over a section or looks puzzled about something, mark that spot on your copy. Also, make note of any sentences you hear that sound awkward. If you do not have a friend available, you might read aloud to yourself or use the free version of Natural Reader or another text-to-speech reader. A second way to find faulty sentences is to use the enter key to put each sentence on a separate line. Then start at the bottom and read each sentence individually as you work your way to the top. As you go from bottom to top, ask yourself whether each sentence expresses a complete thought. Even if it does, is there a better way to word the idea? Now that you have identified sentences that need work, you may be puzzling over how to fix them. For more tips on writing clear, correct sentences, see Basic Sentence Structure and Basic Sentence Structure Add-ons: Phrases, ebooks that will give you the knowledge you need to rub out sentence errors and polish your writing until it shines. This entry was posted in Grammar Tips, Writing 101 and tagged college students, fragment, Phrases, run-on sentence on May 14, 2018 by ragnell44. How are connection and purpose related to each other? When you write non-fiction–essays, articles, blog posts, and even research papers–readers will want to know your background in the subject. What qualifies you to be giving information or advice on your chosen topic? Blogs have “About me” pages to let readers know why you are blogging about raising children, finding jobs, repairing old cars, or selecting vacation spots, among the thousands of possible topics you might have picked. Have you experienced being a parent, looking for a job, restoring antique cars, or traveling to tourist areas? Have you taken classes in your subject area? Did your parents teach you? Did you learn your information as an employee or business owner? Your connection to a topic gives you credibility with the reader. It also helps you to form a purpose for your essay, article, or post. When asked what the purpose of their essay is, students sometimes say, “To get a good grade.” True, that is what students want their essay to do for them, but the question about purpose is what the essay will do for their readers. If you are the parent of four teenagers and have given each a birthday party every year, you may write about how to give a successful birthday party (inform), how a birthday party went terribly wrong (entertain), or how small family parties are preferable to elaborate parties with thirty or more guests (persuade). If you have spent time looking for a job, you might write about what you did to find a good job (inform), the worst interview you ever had (entertain), or how attitude matters in the job hunt (persuade). What if you are assigned a topic and have no connection to it? Perhaps your instructor wants you to write about alternative energy sources. Find someone who does have a connection. Perhaps a friend works in a field related to your assigned topic. If you do not have such a friend, look for someone who belongs to a related organization and set up an interview. While you may not be passionate about the assigned topic, many people are. Find one. The excitement the interviewee brings to the topic may inspire you as well as your readers. This entry was posted in College, Writng Steps and tagged audience, author connection, college students, composition, essay writing, writing purpose on September 23, 2015 by ragnell44. When I began this post, I thought I knew what I was going to write. Then I opened Microsoft Word, typed the title, and stared at the blinking cursor. What now? If you are like most writers, you have had the same experience. What is the best way to get past it? When you blurt, you say or write something without stopping to think. Blurting often reveals what you really think. I realize you may have a negative reaction to blurting. After all, if you say something without thinking, it can get you into trouble. In fact, it probably has. But blurting can be good. You get your honest feelings out without stopping to worry about whether someone will be hurt by them or disagree or be bored. I confess. The Blurt is freewriting. Calling it something else was my way of arousing your curiosity so you would give it your attention. To blurt or freewrite, set a timer for ten, fifteen, or even twenty minutes and write without stopping. You can use blurting when you are searching for a topic or after you have a topic and are trying to find what you want to say about it. In April, I took a WordPress course, Writing 101. The first assignment was a twenty-minute freewriting. My effort is a good example of what freewriting (blurting) looks like, so take a look at my freewriting now. After reading it, come back to this post for more information on the blurting process. As you can see from my freewriting example, I had no topic, only an assignment to write, so my thoughts were scattered. At the end of twenty minutes, I had touched on many possible topics including the act of freewriting and how I was spending free time in retirement. 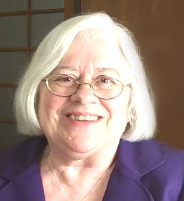 While writing about retirement, I touched on reading, walking, shopping at the farmer’s market, and marketing my books. I also mentioned a desire to travel. Review what you have written. Highlight those topics or sentences that say “Write about me.” I have chosen to write this post about how to blurt because writing is what this blog is all about. However, for my Seasoned Aspirer blog, I might have chosen to write about my desire to travel because that blog focuses on things I have always wanted to do and what I’m doing now to accomplish them. If your first blurt was not topic specific, then you may need to do a second one, this time focusing on your chosen subject. There are times when you may return to the process as you continue to narrow your topic. There will be more about that in a later post. Whether you have come to your topic through a series of general to specific blurts or have an assigned topic from an instructor or editor, when you arrive at the subject you know you will write about, you need to write about your connection to that topic. What qualifies you to write about the subject? Do you have personal experience with it? Have you taken a course on it? Watched television documentaries? Read news articles? Know what your Facebook friends think of it? In other words, what do you know about the subject and how did you come to know it? As an example, I will choose my desire to travel as my topic. In my blurt, I might discuss my desired destinations and whether I should tour with a group or take my own car. I might write about costs, finding hotels, and the types of attractions I wanted to visit. My connections would include my past travel experiences, including one in which I was standing with a friend at a bus stop in downtown Denver at 1:00 a.m., having missed the last bus to her house and seeing a homeless person sleeping on a bench across the street and vowing to never again go anywhere without my car. My experience taught me that traveling by car is best for me. What if I don’t know anything about the topic? If you have been assigned a topic you don’t have direct knowledge of, say so. Then write about all the places you might find information without giving any thought to how you might actually do any of the things you write. If you start judging your options as you write them down, you might discard the very action that would be most valuable. Write first. Then think about how you might accomplish each task. Is there anyone you might ask? Are there YouTube videos? Can you do an online search? Is there an expert in your town you can interview? Where else can you get information? In this instance, the blurting will help you develop a plan to get the details you need to complete your assignment. Once you have blurted on a specific topic and highlighted useful material, you are ready to identify your audience and narrow your subject, steps I will cover in the next two posts. In the meantime, go do some blurting. This entry was posted in Writng Steps and tagged adult learners, college students, composition, essay organization, essay writing, freewriting on August 17, 2015 by ragnell44. Whether an instructor has given you a writing assignment or you have come up with a project on your own, filling out a project worksheet is a good first step toward a successful outcome. At the bottom of this post is my project planner for Punctuation Pointers and Pitfalls, the next book in my Write to Fit series. Notice that I entered a start date. For me, it was the day I actually started work on developing the idea, which included filling out the planner and making a list of punctuation marks to discuss in the book. If your project has been assigned by an instructor, your start date might be the day you received the assignment. Of course, you know the importance of the completion date. Length is also important. Whether you are writing a standalone paragraph of 150-200 words or a book, knowing how long something will be helps you begin to adjust the topic to fit the size of your project. Of course, you can tell from the title of my book that I had already narrowed my topic to punctuation marks when I entered the project name. However, you may have a project subject that is vague, like “Civil War” or “Being a Parent.” If so, you will want to bring some focus to it when you fill out the topic and organization sections of the form. However, anything you enter can be changed as your perceptions of what you want to write develop over time. Later blog posts will go into more detail on narrowing topics. Organization is the main method you will use to present your topic to the reader. I have chosen definition and process as my main organizational methods. I will be defining the various punctuation marks and their uses. Then I will show how to use them. If you are writing about parenting, you might write a narrative (story) that shows someone being a good parent. You might write a comparison/contrast paper showing the differences in behavior between a good parent and a bad parent. You might write a cause/effect paper showing why someone parents children the way he/she does. Instructors will often tell you the organizational method required for the paper, so read assignment instructions carefully. Formatting involves what the finished project looks like on the page. Since I am planning to publish my e-book on Kindle, I must follow the appropriate guidelines. Amazon has made available an entire e-book containing that information. If an instructor has given an assignment, the formatting requirements may come with the individual assignment or be stated in a syllabus or other course document. Since different instructors will have different preferences, make sure you locate and read the assignment formatting requirements carefully. Here are some examples of specifics to look for. Should you indent or not indent the first line of a paragraph? Should you double space the lines. Should you leave an extra line between paragraphs or not? What size and type of font should you use? What margins should the page have? How should you name the file and what file type should you use when saving? These are only a few of the possible formatting particulars you may be required to follow. Next, there are the due dates. Even short pieces, like paragraphs and essays, have stages of writing that require time for writing, reflecting, and revising. As it has been a week since I first filled out my punctuation book planner, I now see I should have broken down the rough draft deadlines into chapters, perhaps two per week. Without intermediate time limits, it is easy to procrastinate, so I will make those adjustments today. Depending on the project, you may have other tasks to complete. You may need to view a video, interview one or more people, or perform some other task. You may be asked to write for a particular audience, such as new mothers or high school students. Make note of such requirements in this section. You may download a blank Write to Fit Project Planner to fill out and adjust to fit your needs. You may share the form with others, but please keep the copyright and website link at the bottom of the page. You or your friends may have questions you would like to ask me. 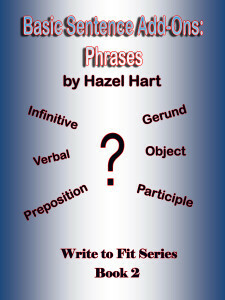 Project name: Write to Fit Punctuation Pointers book. This entry was posted in College, Writng Steps and tagged adult learners, college students, essay organization, Hazel Hart, project planner, schedule, Write to Fit on February 25, 2015 by ragnell44. Six weeks after my publication goal date, the second book in the Write to Fit series, Basic Sentence Add-Ons: Phrases, is finally available on Kindle. Why did it take so long? It turns out that writing phrase examples on demand is harder than I thought it would be. Creating infinitive phrases as direct objects was particularly difficult. I now have sympathy for writers of grammar quizzes. The purpose of Basic Sentence Add-ons: Phrases is to give students and beginning writers clear definitions and examples of the various kinds of phrases. In addition, readers will find ways to avoid two major pitfalls when using phrases: misplaced or dangling modifiers and incorrect punctuation. 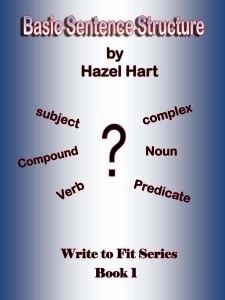 The publication of the next book in the Write to Fit series, Punctuation Pointers and Pitfalls, is scheduled for April 1, 2015. In the meantime, I will be blogging about writing topics ranging from sentence structure to essay development and beyond. If you have a topic you would like to see discussed on this blog, fill out the contact form form below with your request. This entry was posted in My Books and tagged adult learners, college students, gerunds, infinitives, Phrases, prepositions, punctuation, Write to Fit on February 16, 2015 by ragnell44. For many of you, the biggest appeal of online courses is that they can be done from home. There is no need to get dressed, travel miles, hunt for a parking space in a crowded lot, or race through blistering heat, pouring rain, or falling snow to get to your classes. If you have children, you don’t have to hire a babysitter. If you have a job, you don’t have to build a course schedule around your work schedule or vice versa. All you have to do is settle down in front of your computer when it is convenient for you to log in. If you are new to college and/or online courses, the trouble with a “convenient” time is that there often is none. Your days are already packed with activities. Where will your classes fit in? Jot down a list of your daily tasks in the order in which you do them and look for places for your classes to fit in. Are you a morning person who can get up an hour earlier every day and immediately turn on the computer and get to work? Do you have time after others leave the house in the morning? How about when the children are down for a nap or after the dishes are done? Maybe you are a night person and will work after everyone else has gone to bed. Whatever time you choose for your login, make it a daily habit. Logging in daily will help you stay focused on your educational goals and overcome procrastination. During your time online, you might check for announcements, review assignment due dates and requirements, read instructor notes, post to discussions, and complete study guides and quizzes. Once you have completed these tasks, you may have additional homework to complete offline. Most of us have a tendency to put things off, and doing homework is no exception. It can be a problem for students in traditional classrooms as well as for online students. In many cases, you will have an entire week to prepare and submit assignments. It is easy to see today’s activities as more important and to believe you can just work a little longer tomorrow. This often results in no work being done until the due date, a mad scramble to complete assignments, and poor grades. A major reason for procrastination is not wanting to disappoint friends and family. I used to advise my students to tell these important people in their lives that they were committed to their studies and would see everyone again in sixteen weeks. Let your friends know you won’t be available for shopping, lunches, movies, weekend parties, or other activities that might coincide with your study schedule. Let your loved ones know the number of hours it will take for you to successfully complete your courses and ask for their help with household chores and providing quiet time while you do your homework. Give those who love you an opportunity to lend a hand and help you succeed. Take the time now to plan your way to a successful semester. This entry was posted in College and tagged adult learners, college students, overcoming procrastination, schedule, study habit on January 19, 2015 by ragnell44. In my previous post, I discussed the number of hours needed to successfully complete a three-hour course. Having that information allows you to evaluate the time necessary for each course and to enroll in the number of credit hours that best fits your situation. Once you have completed enrollment and have been given access to your course(s), you will be ready for the next step: reading and printing the syllabus or syllabi (the plural of syllabus is syllabi). What is so important about the syllabus? The syllabus is your written contract with the instructor and the school. If you have ever watched Judge Judy or any of those other courtroom shows, you know how important a contract can be. The syllabus tells what you can expect from the instructor and the school and what the instructor and the school expect of you. If you were taking a face-to-face course in a traditional classroom setting, a good portion of the first day of class would be taken up with a review of what is in the syllabus. Your instructor would point out particular sections and what they contained. Why this instructor-led review of a handout you could easily read yourself? Because instructors know that in their students’ eagerness to get on with assigned readings, many of them will neglect to read this important document on their own. So what is in a syllabus? Key information will include the instructor’s name and contact information, a list of the textbooks and other required materials, the course description, and any required face-to-face meetings or proctored tests. You will find out the policies on the number of required log-ins and amount of time you must spend in the course, whether late work will be accepted (usually not), and appropriate discussion posting manners (often referred to as netiquette) in an online course. In most instances, the syllabus will also contain an overview of the course assignments and due dates. This overview will help you plan your study schedule, which will be the topic of my next post. Since the syllabus is in the course and always accessible online, you may be thinking that printing it is a waste paper and ink. Not so. The key to the need to print is the fact that the document is “accessible online.” To access the information, you need Internet service and a password. If you are in the middle of your midterm exam and weather takes down your Internet, you need the instructor’s telephone contact information, particularly if this is the last day the exam is available. If you are suddenly ill or in an accident that prevents you from crawling to your computer and alerting your instructor to your inability to complete assignments, you can have a friend or relative do it for you–if the contact information is printed and kept where it can be easily located. In fact, you may be worried about whether you can make up work missed in an emergency. You don’t have to get online to find out if you have that hard copy of the syllabus available. And by the way, there will probably be a quiz. This entry was posted in College and tagged adult learners, college students, syllabus on January 12, 2015 by ragnell44. Welcome to Write to Fit, my blog for college students and beginning writers of all ages. For the past ten years, I have taught English composition online and have answered countless questions for my students. I am starting this blog to share some of the answers that have been most beneficial to them. 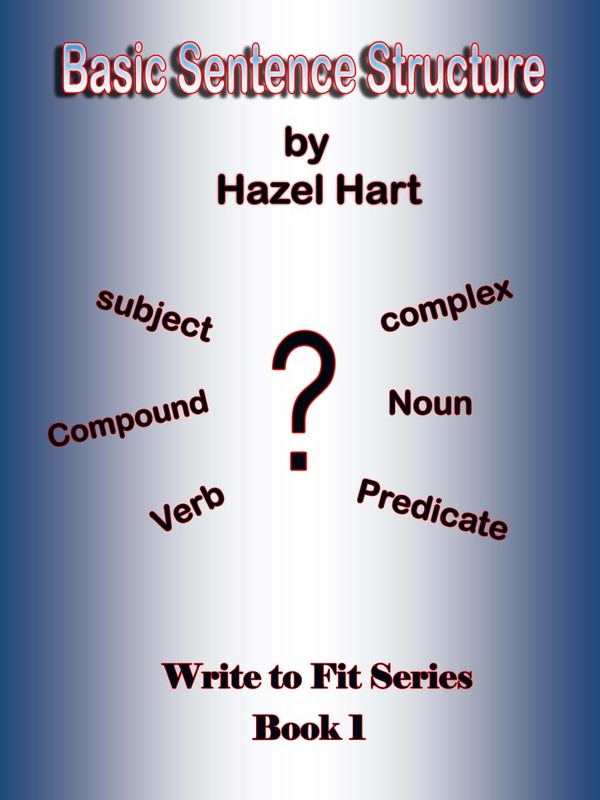 I will also use it to answer questions from readers of my Write to Fit books series. Both this blog (and eventually the book series) will cover writing issues that students find troublesome. I’ll be discussing everything from getting an idea for your project to creating a thesis and supporting it. I’ll be looking at various ways of organizing essays and articles, including narration, exemplification, comparison/contrast, classification, and more. There will be tips on how to revise, edit, and proofread your work in a way that will allow you to favorably impress your instructors and other readers. If you have questions or topics you would like me to blog about, please fill out a contact form, and I’ll get back to you. This entry was posted in Uncategorized and tagged college students, edit, essay organization, proofread, revise, sentence structure, thesis statement, Write to Fit, writers on January 1, 2015 by ragnell44. Copyright © 2016 - 2018 Hazel Hart All rights reserved. mirella on If at First You Don’t Succeed . . .